Vinci has secured the contract to build a visitor centre at Stonehenge in Wiltshire. 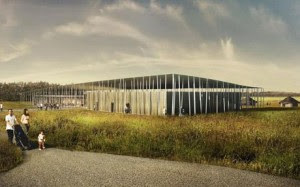 The scheme will see the existing visitor centre and car parking removed, and new exhibition and education facilities built at Airman’s Corner, about 1.5 miles west of the Stones. Preparation work has begun ahead of building with pre-construction tests being carried out to allow work on the centre to begin next month. The tests aim to see if a ground water source can provide sufficient drinking water and energy for a year-round heating/cooling system for the centre. A low-energy transit system is also planned to take people between the visitor centre and a drop-off close to the monument. The £15m job also includes road improvements and a new coach and car park at the world heritage site. The visitor centre has been designed as two pods, one that will be glazed and one timber-clad. 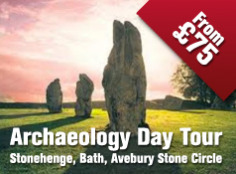 Centuries of speculation have attributed countless functions to the famous Wiltshire landmark, describing it variously as a prehistoric observatory, a place of healing and a temple for ritual sacrifice. But a new study by researchers from five British universities suggests Stonehenge may in fact have been built as a sign of peace between people from the east and west of the country after a period of conflict. The stones, which come from different locations as far afield as southern England and west Wales, may have been used to represent the ancestors of some of Britain's earliest farming communities, researchers suggest. Prof Mike Parker Pearson, of Sheffield University, said during Stonehenge's main period of construction from 3,000 to 2,500 BC there was a "growing island-wide culture" developin in Britain. He added: "Stonehenge itself was a massive undertaking, requiring the labour of thousands to move stones from as far away as west Wales, shaping them and erecting them. Just the work itself, requiring everyone literally to pull together, would have been an act of unification." The Stonehenge Riverside Project, which also included the universities of Manchester, Southampton, Bournemouth and UCL, suggests that the Stonehenge site may have been a place of special significance before the monument was built. The solstice-aligned avenue between the stones sits on a series of natural landforms which mark out the midsummer sunrise and midwinter sunset, suggesting people may have seen the spot as the "centre of the world", prof Parker Pearson said. Thousands of people have gathered at Stonehenge to celebrate the summer solstice despite overcast skies. 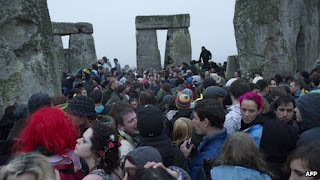 Cloud cover meant pagans and druids were unable to witness the sunrise on the longest day of the year. Wiltshire Police said despite the rain it had been a "positive experience" for most revellers. Officers made 34 arrests for theft, drugs or alcohol-related offences and more than 100 people received cautions for cannabis use or possession. A further three people were arrested at the stone circles at Avebury, which is about 22 miles (37km) away from Stonehenge. A spokeswoman said: "As with every year, sadly there was a small minority who were determined to disregard the law. These people were dealt with robustly." BBC reporter Will Walder said thousands of people had braved the overnight rain to gather at Stonehenge. "It was wet, misty and muddy but there was an atmosphere that something really special was about to happen. "People were whistling and cheering and then falling silent before starting again. 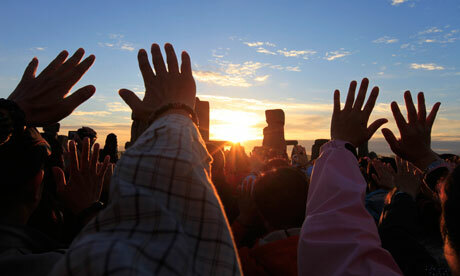 "Tambourines and drums were being played but then at 4:52 am people were looking from left to right to try to see the sun and had to resort to watches and mobile phones to mark the moment," he added. One of the revellers, Dave, said he had been on site since 22:00 BST on Wednesday with his friends. He said it was the first time he had been to Stonehenge. "I'm really wet and I'm soaked to the bone but its magical - it's lovely." English Heritage said the heavy overnight rain meant it was one of the lowest attendances in recent years. "However the rain did stop in time for the sunrise ceremonies and although clouds obscured the sun, loud cheers and applause rang out amongst the ancient stones," a spokesman said. "There was torrential rain at some points during the evening, but it stopped and although it was cloudy, it didn't rain for sunrise. "It has been the wettest and dare I say the muddiest in recent years." A 22ft (6.7m) figure, called Ancestor, was moved to the stones ahead of the solstice celebrations. The seven tonne steel statue depicts a man with his "head thrown back and arms open wide". After the solstice it will be dismantled and taken to Salisbury for the Olympic torch event. As with previous years, there were amnesty bins available outside the event and drugs dogs were at both Stonehenge and Avebury. Entry to the monument in Wiltshire will be closed until 09:00 BST on Friday. This week, crowds will gather at sites from New York to Norway to take part in one of the most ancient of all rituals: watching the sun rise on the summer solstice - the longest day of the year in the Northern Hemisphere. The largest gathering will be at the most celebrated of these sites - Stonehenge, in Wiltshire, England. Each year, many thousands of people try to get close to the enigmatic stone circles in the (usually vain) hope of witnessing the rising of the solstice sun. Yet new research suggests that this modern-day ritual has been misconceived, occurring at the wrong place at the wrong time - and with everyone looking in the wrong direction. This is among a whole slew of insights emerging about Stonehenge following recent studies by archaeologists. Taken together, they point to a whole new conception of Stonehenge's origins, purpose and evolution. What hasn't changed are the estimates of the astonishing antiquity of these sites. Dating of artefacts found around Stonehenge show that its construction began about 5,000 years ago. To put that into context, when building began at the site, the Great Pyramids of Egypt were still 500 years in the future. Most archaeologists agree that the first structures at the Wiltshire site took the form of a circular ditch with a bank - a "henge" - that had 56 pits, known as Aubrey Holes, arranged within it. But while there is broad agreement on dates, archaeologists are now questioning the standard image of Stonehenge at these times. They believe that from the outset, the site featured "bluestones" made from a volcanic rock known as spotted dolerite. 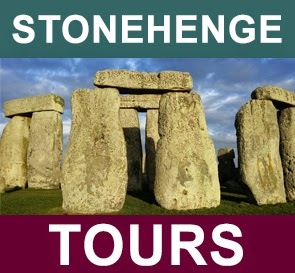 And therein lies the first astonishing fact about Stonehenge. The source of these bluestones has been traced to an outcrop more than 240 kilometres away in the hills of Pembrokeshire, Wales. Exactly how scores of bluestones, some weighing more than four tonnes, were transported so far by Neolithic labourers has long been a mystery. One theory is that nature did most of the heavy lifting during the last Ice Age, a glacier scooping up the rocks in Wales, and dumping them in central England when it melted about 10,000 years ago. Recent research, however, has cast doubt on this. Analysis by researchers at the University of Wales has shown the bluestones were broken from their host outcrop and exposed to the air after the glaciers had vanished. The idea that the stones were transported by human ingenuity has been revived following an experiment conducted in 2010 by Dr Andrew Young at the University of Exeter. While working at a similar stone circle in Aberdeen, Scotland, archaeologists had found dozens of carved stone balls. Wondering if these might have acted as "ball bearings", Dr Young constructed a track capable of holding them in position as objects were rolled over them. Experiments showed that the technique allowed just half a dozen people to pull even the largest bluestones relatively easily. But to what purpose - what was Stonehenge for? One of the most persistent theories is that it was some kind of giant astronomical observatory. 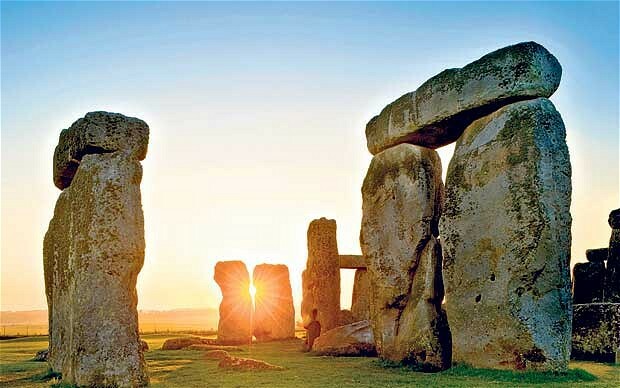 More than 250 years ago, the English antiquarian William Stukeley pointed out that Stonehenge and the outlying "Heel Stone" - near which the sun will rise on Thursday - were orientated roughly towards the point of sunrise on the longest day of the year. See England’s oldest manmade relic in a whole new light. 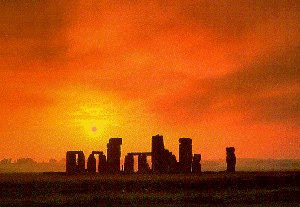 As day melts into night, the ancient and mystical Stonehenge will be transformed by another ancient phenomenon, fire. “As the sun goes down over one of Britain’s most iconic World Heritage sites, French outdoor alchemists Compagnie Carabosse fan the flames of our imaginations with an elemental Fire Garden. French fire-starting art troupe Compagnie Carabosse will create a truly unique visual experience known as the elemental Fire Garden with all sorts of mesmerising amber-hued sculptures bursting to life. You’ll feel as if you have entered some sort of a glittering fairy tale or an immense pagan ceremony (without the sacrifices of course!) as this historic pocket of Wiltshire is lit up with great balls of fire, literally. 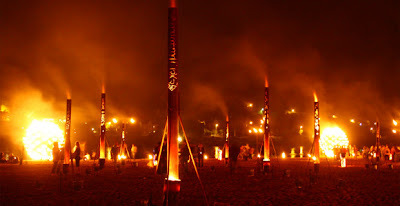 There’ll be a collection of weird and wonderful sphere-shaped contraptions bearing flaming fire pots, rows of candles illuminating the pathways and mysterious fiery installations illuminating the 2300 BC monoliths. The wizards of the elements have been whizzing up fire-based theatrics since 1998 and create tailor-made events based on their surroundings, so get ready to soak up what promises to be a spectacular atmosphere. Part of the Salisbury International Arts Festival and the London 2012 Festival, the fiery spectacular will run from 10 July to 12 July 2012 during the evening. 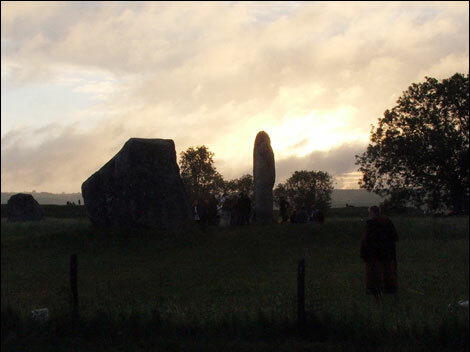 ﻿﻿﻿﻿The summer Solstice observance at Avebury is expected to be very busy and there will be limited car parking as a result. From Wednesday 20 June until mid-afternoon on Friday 22 June there will be a temporary campsite alongside the car park opening at 9am on Wednesday 20 June and closing at 2pm on Friday 22 June. There'll be less than one hundred tent spaces, allocated on a first come first served basis. They are expected to be in high demand. There'll be no camping available on the weekends either side of the Solstice. We would advise anybody planning to come to celebrate the Solstice at Avebury to consider both finding accommodation in campsites nearby (listed below) and to consider visiting by public transport. The main celebrations will take place on the evening of Wednesday 20 June and at sunrise on Thursday 21 June – approximately 5am. The National Trust is part of the Avebury Solstice Planning Group and works closely with police, the local councils, residents, the fire brigade and other safety groups to ensure that this is a peaceful and safe event for those who wish to celebrate the Solstice here. Transit of Venus the last for 105 years. Visible on Salisbury Plain ? On Wednesday morning a dark dot crossing the disc of the sun will mark the passing of an astronomical wonder that will not be repeated for more than a century: the transit of Venus. But catching it - in the UK at least - will be a true test of astronomical commitment. The journey of the planet across the sun will only be visible at sunrise - at 4.45 in the south (Stonehenge area being be one of the best places to view it) 4.30 am in Scotland, and the weather means the prospects for viewing in the south of Britain are poor. The phenomenon occurs when Venus, our immediate neighbour in the solar system, passes directly between the earth and the sun. Its silhouette is seen as a black dot about 1/32nd the diameter of the sun. The full transit takes about six hours, but only the last half hour or so will be visible from the UK. Transits of Venus happen in pairs eight years apart. The last transit in this pair was in June 2004 but the next won't roll around again until December 2117. The transit was of huge importance in the history of astronomy. The first transit observed, was in 1639 by English astronomer Jeremiah Horrocks. Horrocks's measurements allowed astronomers to estimate the size and distance of the planet Venus and the distance between the sun and the earth. This measurement, called an "astronomical unit", is now the fundamental yardstick for studies of our solar system and the universe beyond. Astronomer Jeremiah Horrocks's measurements allowed astronomers to estimate the distance between the sun and the earth. By the 18th century it was realised that the best measure of an astronomical unit could be made by watching the transit of Venus from different places on the earth and then using trigonometry to calculate the distance. Exploiting such "parallax" measurements became an international cause of the Enlightenment age. For the 1769 transit, astronomers were dispatched across continents to get as many views as possible. Captain Cook's first voyage east made observations from Tahiti at a place still known as "point Venus". Those missions used the transit to calculate the distance from the earth to the sun of between 93 million to 97 million miles. And they weren't far off. The internationally accepted distance today is 92.9 million miles. But as a once-in-a-lifetime astronomical experience, watching the Venus still draws a crowd. Events are planned across east Asia and Australasia where the entire transit will be visible. Most of the US will see the event at sunset this evening. A range of public viewing events have been organised by local astronomy groups across the UK (see the Royal Astronomical Society website for more detail). It's quite possible we'll be sitting around talking about what we could be seeing while eating bacon sandwiches. Grey Lipley, of the Flamsteed Astronomy Society, told Channel 4 News his group, like many others, hopes to offer an enhanced view of the transit at their event in London tomorrow morning. Specialised solar telescopes can allow all of the sun's surface detail to be observed, as well as the transit. "We should see Venus as it passes across the outer layers of the sun - giving us an extra 30 minutes of observations," he said. But he had to admit cloudy weather could well put a dampener on things. "I've already checked that the café will be open," he said. "It's quite possible we'll be sitting around talking about what we could be seeing while eating bacon sandwiches." Because looking at the sun directly can cause permanent blindness, experts advise those planning to watch the transit try projecting the image of the sun onto a wall or sheet through binoculars or a telescope. Eclipse viewing glasses or goggles can be used, but only for brief glimpses. For more information, go to the Royal Astronomical Society website. A rare astronomical event that happens when Venus travels across the face of the sun and appears as a small black dot on its surface. Transits occur in pairs eight years apart. There are two in December that repeat every 121.5 years, and two in June that repeat every 105.5 years. 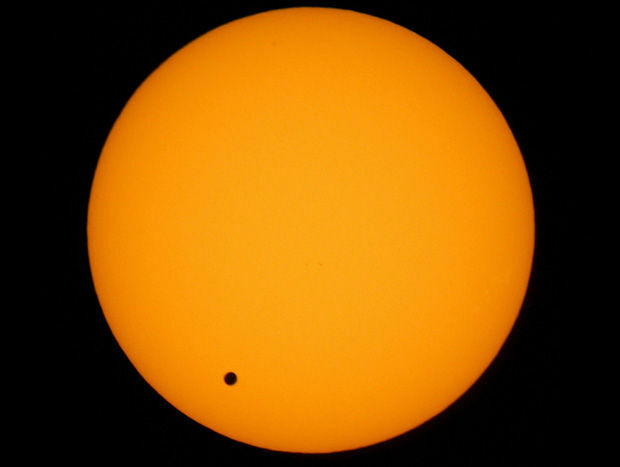 The last transit of Venus of the 21st century occurs on Tuesday and Wednesday (5 and 6 June 2012) depending on where you are viewing from. The transit starts at 11.04pm BST (6.04pm ET) on Tuesday, when it will be visible from the US. The final hour of the transit will be visible from the UK just before 5am BST on Wednesday (12am ET US), clear skies permitting. The transit will not happen again until December 2117. How long does the transit last? Venus takes nearly seven hours to cross the face of the sun, but the event is divided into four "contacts" that mark different phases of the transit. Venus makes first contact when it encroaches onto the disc of the sun. Twenty minutes later, on second contact, the planet will be fully silhouetted. On third contact, at 5.37am BST (12.37am ET), Venus will begin to leave the sun, and the transit will be over on fourth contact at 5.55am BST (12.55am ET). The whole transit is visible from Alaska, parts of northern Canada, and from New Zealand, much of Australia, Asia and Russia. In the US, the transit will be in progress as the sun sets on 5 June. In East Africa, Europe and Scandinavia, the transit will be under way as the sun rises on 6 June. Much of South America and western Africa will not see the event. How can I watch it safely? Never look directly at the sun, it will damage your eyes. You can use eclipse viewing glasses that carry a CE mark and are not damaged or worn, but only for a few minutes at a time. Venus is large enough to see with the naked eye and will appear as a spot about 1/32 the width of the sun. It is not safe to look at the sun through regular sunglasses. For a better view, use a small telescope or a pair of binoculars to project an image of the sun onto a screen. Never look at the sun directly through either binoculars or a telescope. Nasa will broadcast a live webcast of the transit from the Mauna Kea Observatories in Hawaii.